Smaller condos, also known as “Boutique Buildings”, on the ocean have an appeal to many buyers. There are a a few select oceanfront Boutique Buildings in the Fort Lauderdale area that are quite unique and worth mentioning. Each one has its own personality, location, benefit and cost. Coconut Grove, Positano Beach, The Sage, and 1200 Hillsboro are each appealing in their own unique way. Some buyers, especially when coming from a home, prefer to live in a smaller building that is not more than 10 stories high. Those smaller buildings offer a more personal intimate feel, less crowds, more personalized service, and can feel like a home yet benefit from the advantages of condo living. Coconut Grove, for example, is a very unique building situated on a stretch of sand that is one of the best beaches along the coast. It is right next door to the Marriott Harbor Beach Hotel in a prime location. 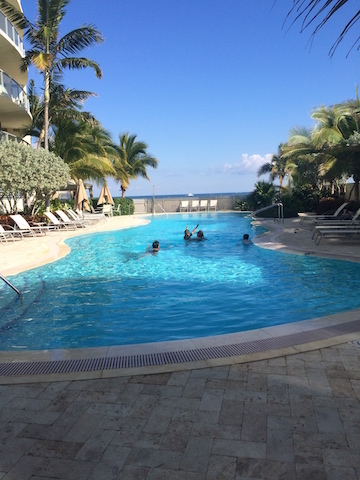 The Marriott Harbor Beach has an exceptional beach club and spa that residents of Coconut Grove could join. The floor plans at Coconut Grove vary greatly but currently there is an exceptional opportunity for a 1600 sq.ft. one bedroom plus den 2 and 1//2 bath unit with beautiful south ocean views. That is a direct ocean finished unit offered at $555 per sq. ft. The list price is $895,00. The other units listed for sale in the building are all well over $1 million. Positano Beach in Hollywood Beach is the sister building to Villas of Positano. Construction is nearing completion and there are a few units left. The layouts are spacious, around 3000 sq.ft. and costs are running around $1.8 million, approximately $600 sq.ft. 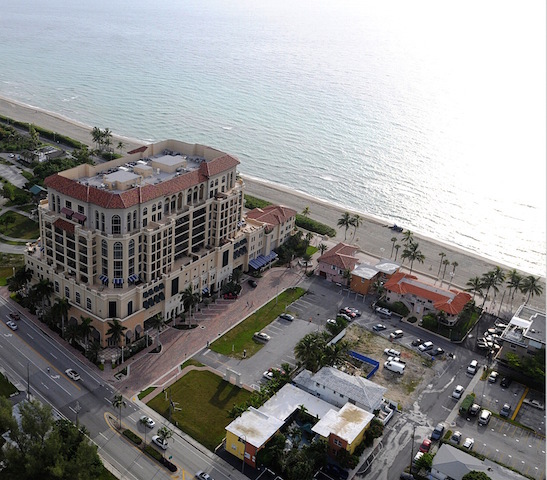 The location is about 5 minutes from Fort Lauderdale airport and is situated right on the Hollywood Broadwalk. 1200 The Ocean on Hillsboro Beach is another Boutique project situated right on the sand with only 18 units. It has of course a private pool, a club room and there is availability for boat slips. Hillsboro Mile is just south of Boca Raton. Smaller buildings, generally speaking often times can have lower monthly condo fees as the amenities are often more modest and overhead can be less. That of course is a generalization. A smaller building also will have fewer number of members on the condo board and a smaller voting population. This can streamline approvals and management. There are other smaller oceanfront condominiums along the coast in Fort Lauderdale and in Miami and there is a demand for this intimate lifestyle as an alternative to high rise living. Investors often find these smaller condos attractive because rental demand can be strong for these limited units. 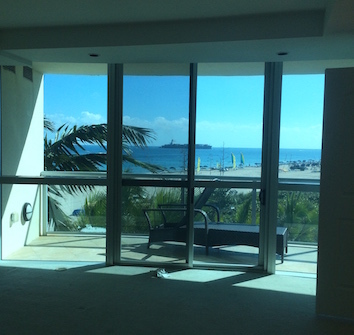 This entry was posted on Thursday, December 25th, 2014 at 4:35 pm	and is filed under Fort Lauderdale Oceanfront Condos. You can follow any responses to this entry through the RSS 2.0 feed. Both comments and pings are currently closed.